as they defeated Mountain View. Simply click on the PLAY BUTTON below. Steve Dion and Paul Valencia talk about the Battle Ground Tigers. Can they contend for the league title? Listen to our preview of the Battle Ground by clicking on the PLAY BUTTON below. AND read his column at the Columbian.com throughout the football season! Steve Dion and Paul Valencia breakdown the Greater St. Helens League. The reclassifications have impacted the number of playoff teams coming out of this tough league. In the 4A GSHL – Can Union make a run with their new coach? Will Skyview push their way to the top? Or will Camas hang on to their strangle hold of league dominance? 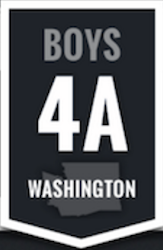 Who will represent SW Washington at the end of the season? The 3A and 2A leagues have also seen major changes, we’ll break it down for you. Listen to our league preview of the GSHL by clicking on the PLAY BUTTON below. Be sure to visit columbian.com and follow Paul’s high school football coverage all season long!